To be completely transparent, Jennifer is a fellow Class of 2k12 classmate. I purchased the book. Allie is devastated. Her boyfriend is dead, but she managed to make it out of the accident alive. Everyone thinks that she’s taking his death hard – but there’s more to the story here. Trip abused Allie, and she can’t remember the details around his death. And with the town mourning his death, Allie feels isolated. No one can understand what she’s going through because no one knew how he treated her. As the novel unfolds, Allie’s memories begin to return. We get flashbacks that show how her relationship with Trip began and devolved. As she slowly opens herself up to an old friend – and potential new love – Allie slowly realizes that others did know what she went through. Countering this slow growth, the mystery of the novel – what really happened the night Trip died – adds increasing tension. The police question Allie and it feels as if a noose is closing around her, even as she comes to grips with what she’s been through. One of the strengths of the book is Allie’s relationship with her brother. Confined to a wheelchair by cerebral palsy, Allie and Andrew are best friends. She loves him and is protective of him. Their relationship is changed by Trip and the secrets she keeps, but the caring between them is clear. The moments between them were some of my favorite, especially viewing Andrew’s illness through Allie’s eyes. I also loved the growing romance between Allie and Blake. Overall I found this book an emotional read (I cried more than once). Added to that, the mystery and tension were really well handled. 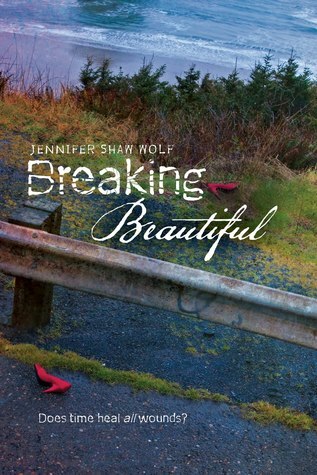 A great read for fans of emotional contemporaries with a touch of mystery. This sounds fantastic: I love books with a lot of emotion and a little mystery (like AMELIA ANNE IS DEAD AND GONE). And the cover is so striking, too! You know, I’ve heard of this before but never quite got around to picking it up. I particularly like the details you shared about her brother–wasn’t aware that was a part of the story and now I’m really intrigued. Thanks for the recommendation!